A Transport of Delight: A Transport Stocking Filler? With Christmas fast approaching, now is the time to worry about gifts for friends and family. What do you buy someone whose interest in local transport is something you know very little about? A subscription to the Lincolnshire & East Yorkshire Transport Review is the obvious choice. Find out who we are and what we provide six times a year all for £10 by clicking here. Celebrating our 50th anniversary during 2013, a special 56-page A5 publication has been produced by the LEYTR Committee. The main article covers over 40 pages and reviews the main transport stories to have featured in the pages of the LEYTR and its antecedents since 1963. CT Plus caused a stir in Hull when it won the contract to operate the Pride Park & Ride service from incumbent EYMS. From what date did they first run the service? In what year did Grimsby-Cleethorpes Transport stop running on Christmas Day? On 19 August 1989, Road Car closed one of its depots and sold it to Fowler's Travel as a going concern. Which one was it? Kingston-upon-Hull City Transport purchased a substantial number of Leyland Atlanteans to replace its last trolleybuses, but when was this? Stagecoach Grimsby-Cleethorpes operates Service 16 between Grimsby and Wybers Wood, but on what date did the service first operate and with whom was it originally run in partnership? On what date did the rail service linking Cleethorpes, Ulceby and Immingham Docks close? 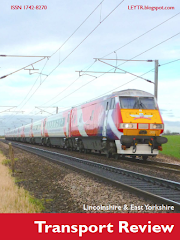 East Coast hired a Class 390 Pendolino from Virgin Trains to test its capabilities along the East Coast Main Line. On what dates was the electric multiple unit used? Humber Airways began a regular passenger flight between Hull and London in which year? Closed as part of the Beeching-inspired cuts, the Spalding-to-Peterborough section of line re-opened after a short spell of closure. When was this? The November of which year saw all National Bus Company express service route numbers change to conform to a common series following the introduction of the National Travel brand? Road Car introduced the first Leyland Nationals to its fleet in the same year it closed its Sleaford depot, but when was this? Brylaine Travel introduced 8 new Optare Solos on InterConnect 5 from Boston and Spalding to Lincoln, but from which month did the new service start? On what date did Arriva Midland Fox close its Stamford depot? On what date did the last Bristol VR operate in regular passenger service with EYMS? On what date did Stagecoach introduce the Megabus Plus concept to the LEYTR area, operating from Hull and Scunthorpe to East Midlands Parkway and thence a connecting train to London? Lincoln City Transport made cuts to daytime frequencies as a consequence of the introduction of one-man operation; this saw frequencies of every 15 minutes drop to a bus every 24 minutes, which served only to compound matters for the municipal operator. In what year did this occur? The summer of which year heralded the first open-top bus services along Skegness sea front, operated using a pair of ex-Southdown Bristol F6SGs by Road Car? InterCity 125 254029 was the first High Speed Train to run a passenger service from the LEYTR, operating a charter from Hull organised by the Hull Times. When did the service operate? In what year did Peter Shipp join EYMS as Traffic Manager? The Grimsby-Cleethorpes Transport fleetname was replaced by a simple GCT logo on the sides of the municipal's fleet from which year? It coincided with the painting of three acquired ex-LT Fleetlines into special commemorative liveries. On what date did the last Stagecoach bus service to service Market Deeping occur? In what year did Grimsby independent coach company Granville Tours cease? Centrebus replaced MASS Transit in Grantham from when? In what year did Lincoln City Transport introduce its new-look cream with four green bands livery? In preparation of Deregulation, United Automobile split its operation which saw its Scarborough depot pass to EYMS. When did this occur? From December 1987, Road Car introduced improved services in which Lincolnshire town to combat competing minibus operation by ex-NBC 'sister' Eastern Counties? What was the last day of Barton Transport's operations in Stamford? This heralded Delaine's current operation from the town to Peterborough via Barnack and Kimes/Centrebus' via Wittering. On what date did both Scawby and Hibaldstow lose their railway stations? In which year did Hunt's of Alford introduce their first double decker? During the summer of which year did British Railways withdraw its planned closure notice for the Brigg Line? From what date did BR's Regional Railways first introduce one-car Class 153s on the Barton Branch and between Cleethorpes and Newark? The last InterCity 125 service from Cleethorpes to London operated on what date? In what year did Grayscroft Coaches of Mablethorpe celebrate their 70th anniversary? From 1 July in which year did Stagecoach enhance its 'Humberline 909' service to 'express' status and extend it every hour from Doncaster to Sheffield and Meadowhall, replacing Duple Laser-bodied Leyland Tigers with Volvo B10M/Plaxton Premiere Interurbans? GNER was the first privatised company to operate rail services in the LEYTR area; on what date did it take over from British Railways? Waddingham-based Enterprise & Silver Dawn, who'd operated competing services in Lincoln for many years, was sold on 4 January 1997, but to whom? In what year did British Railways first propose the closure of the East Lincolnshire Line? In what year did Manchester Airport Group pay a reputed £8 million for a controlling stake in Humberside Airport? From what date did GNER start using leased Class 373 Eurostar train sets on its White Rose services between London and Leeds via Grantham? In what year did Grimsby-Cleethorpes Transport turn down the chance to buy a trio of Willowbrook-bodied AEC Reliances from London Transport (the RW chassis)? In April of which year did Cleethorpes independent Peter Sheffield take over the business of Redbus of North Cotes? 12 February marked the date RW Appleby passed into the hands of its receivers. But what was the year? In what year did Lincoln City Transport introduce the 'Autofare' (no change) system, in a bid to speed up loadings? The Horncastle Bus Club was a revolutionary co-operative of its time, running a local bus service between Louth and Horncastle on a not-for-profit basis, following Saturday experimental running. Tennyson Tours was the first company to run services for the Club, but in what year did this commence? Both Grimsby/Cleethorpes and Lincoln saw their first low-floor local bus services during 1998, but which area received theirs first? In which year did Veolia Transport purchase the Dunn-Line business, giving the company a foothold in both Lincoln and Hull? 2007 saw a new operator to Lincolnshire operate an hourly service from Lincoln using Leyland Lynxes, in a bid to offer an alternative to the train. But to where? Cavalier of Long Sutton was purchased by Stagecoach on what date? In what year did Brylaine purchase the businesses of JE Lancaster of Tetford and Fenwick's of Old Bolingbroke? Road Car replaced the 'Cavalier' name for its network in Newark with 'East Notts', but when did this occur? 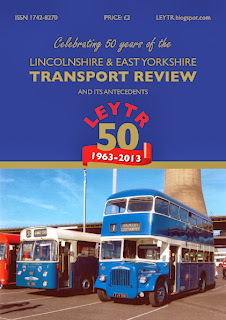 The answer to these and hundreds of other transport news stories can be found in the special 50th anniversary edition, Celebrating 50 years of the Lincolnshire & East Yorkshire Transport Review. Copies are available costing just £2 each plus £1 p+p per copy. Please make cheques payable to 'Lincolnshire & East Yorkshire Transport Review' and post to LEYTR Secretary, 159 Clee Road, Cleethorpes, DN35 9HY. This is the first time i am hearing about this. It's really strange. 6 times a year. makes a nice punchline. More aggressive marketing.